My name is Lyndsey Gilbey and I have been working as a freelance singing teacher to pre-school children in the Petersfield area since 2003. 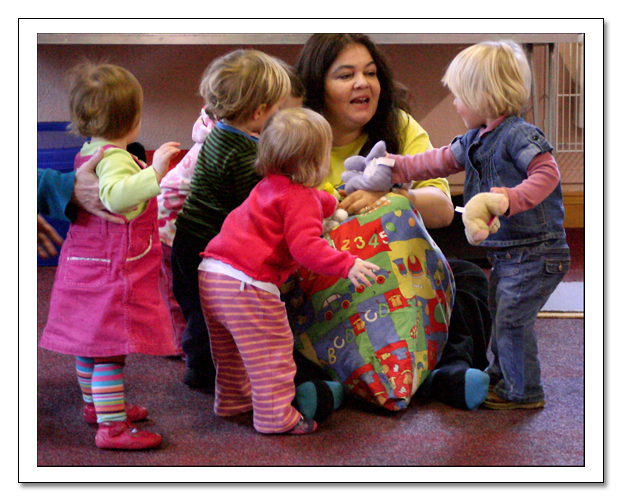 I took over the running of Fiddlesticks Music from Kay Blackwell in 2008 and have been running groups for under 2s, over 2s and pre-school children as well taking sessions in nursery schools. I studied for a degree in Drama and Theatre Arts at the renowned Bretton Hall College in Yorkshire. I spent a number of years working as an actress - mostly in the area of musical theatre but also in theatre in education, and children’s theatre. After this I was given the opportunity to work as a practice manager for a group of Doctors in Battersea developing my organization skills; this I did until my second son was born in 2000. I become convinced of the importance of singing to babies with the arrival of my first son who would only settle and stop crying if I sang to him. Fiddlesticks music is an opportunity to bring together these otherwise diverse career strands! I have lived in the Petersfield area since 1999 and I am married with two sons. I am also CRB checked and fully insured.